Community colleges (CCs) continue to be the most popular entry point to U.S. higher education for Vietnamese students. Vietnam ranks 2nd behind South Korea in international student enrollment at CCs and 80% of the student visas issued by the U.S. Consulate General are for CC-bound students, according to an official source. That’s the good news. You must be a bona fide (serious) student with serious study intentions: Since you are applying for a student visa, it is expected that your purpose in going to the U.S. is to study. The Consular officer will expect that you can answer basic questions about the school you will be attending, the course of study you plan to follow, your plans when you return to Viet Nam, how you decided on the school you have chosen, etc. You must have adequate financial resources: You must be able to show the Consular officer that you have adequate financial resources to support you while you are studying in the U.S. The following are examples of acceptable financial documentation: scholarship, fellowship or financial aid award letter from the school you will be attending, family business records, tax records, real estate records or bank books. Bank statements are not accepted as supporting documentation demonstrating adequate financial resources. 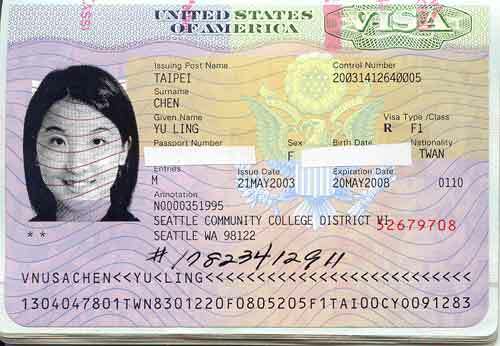 You must show your intent to return to Viet Nam: When you apply for a student visa, it is understood that you are seeking permission to be in the United States for a period of time to complete your studies. When you have completed your studies it is expected that you will return to Viet Nam. The above scenario means that it is especially important for CC-bound students to make the case that they are indeed “serious students” who have a well-defined and logical plan. “I chose CC ‘X” for these reasons… I plan to study subject “X” at CC “X” for two years before transferring to a four-year school (if that’s the plan) to major in subject “X” before applying for Optional Practical Training (OPT) to gain professional experience in a field related to their major, pursue a graduate degree OR return home upon graduation to pursue a career in field “X.” Etc. This underscores the need for good visa interview-related information and advice provided by the admitting CC and other reputable sources. I was suppose to study at Bellevue Community College but my agency said that they will transfer me to the University because i had my Bachelor’s degree already. This is my second degree. So, we did not Get the SEVIS for Bellevue CC but we applied for University of Massachusetts Dartmouth and i got accepted. The consular Officer did not ask me anything but gave me a student visa and didn’t cancel my Tourist visa. Don’t go to CC if you are not that serious. I think that either option is acceptable, depending upon your level of preparation (e.g., English proficiency) and goals. The path you chose might have made it easier to obtain a student visa. The real issue with prospective students being denied their visas is that consular officers may or may not have personal and professional bias against the community college system in our country. Research has shown that some of these officials are not fully informed about the legitimate and credible education choices available through our USA community college education system, and they have denied visa’s in the past based on their personal assessment that a student’s education plans did not meet their personal standards of ‘legitimate’. Why are we leaving it up to a consular officer in a host country, who has never met the student and can make critical visa decisions based on a short conversation and paperwork alone, to make a personal judgement on whether they feel the future school is worthy of approving a visa, when it is so much easier to accept any personal bias they may have against “junior” college, or “lower level” college? Honest and hardworking students who are bright enough to figure out that the options for attending and then transferring from a community college to a four year university are exceptional both financially and socially. These students should not be punished, by having their visa denied, because consular officials are not informed and instead rely on a bias about our educational system that is perhaps decades old.